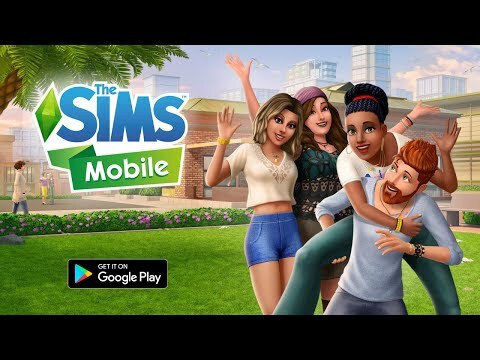 Play with life in The Sims Mobile! Create your Sims, give them unique personalities, and customize their homes with more detail than ever before on mobile. Interact with other Sims to form relationships and unlock rewards. Experience your Sims’ lives as they accomplish career goals, party wit... see more Play with life in The Sims Mobile! Create your Sims, give them unique personalities, and customize their homes with more detail than ever before on mobile. Interact with other Sims to form relationships and unlock rewards. Experience your Sims’ lives as they accomplish career goals, party with friends, and fall in love. What stories will you tell? The legacy your Sims leave behind starts today. Design your Sims a home where they can experience all that life has to offer. Effortlessly personalize home layouts, designs, choosing from a variety of furniture, appliances, and decorations with color options for each item. Unlock activities like making tacos or thinking in the shower, and fun venues like a fashion studio, restaurant, and nightclub.